While the teaser of Rajkumar Hirani’s upcoming film Sanju with Ranbir Kapoor playing Sanjay Dutt onscreen has taken the social media by storm, and now Dutt is busy shooting a month-long schedule for his next upcoming film 'Torbaaz' in Kyrgyzstan. 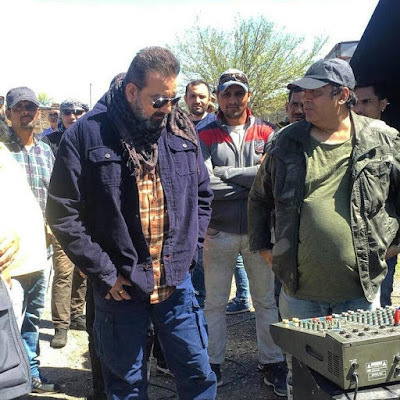 Dressed in his usual stylish self, the actor posted his picture on Instagram while sporting a cool scarf to match the outdoors as he started shooting for the film in the capital city of Bishkek yesterday. The actor is essaying the role of an army officer in the film which is directed by award-winning director Girish Malik & produced by ace filmmaker Rahul Mittra. Presented by Raju Chadha, 'Torbaaz' will also feature Nargis Fakhri, Rahul Dev & Rahul Mittra in pivotal roles.